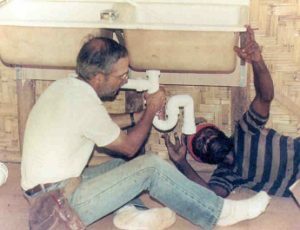 Would you love to make an eternal impact with your work as a plumber? JAARS makes Bible translation and language development possible in the most remote and difficult places on earth. The JAARS Center has many miles of well and wastewater pipes to maintain and over 40 commercial and residential buildings. Plumbing jobs are overwhelming for just one plumber and we need another team member to come alongside and help. Could you be the answer to that problem? Consider serving the mission field by serving at JAARS. Responsible for assembling, installing, and repairing pipes for water, heating, and drainage systems.